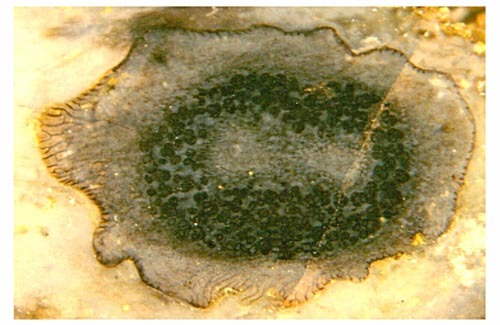 Fig.1 (far left): Horneophyton sporangium with columella forking at an obtuse angle, wall decayed but spores kept together, tetrads mainly intact on the right and disintegrated on the left. Photograph: H. Sahm. 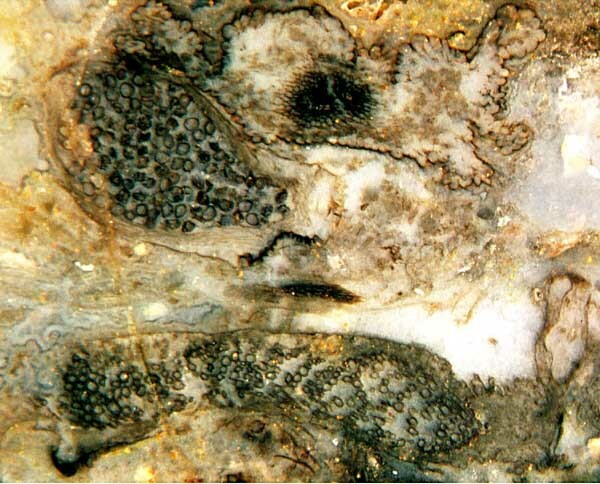 Fig.2 (left): Horneophyton sporangium, cross-section near the base where the prongs of the columella are not yet separated, wall well preserved, spore tetrads mainly intact, some disintegrated. Width of the section 2.8mm. 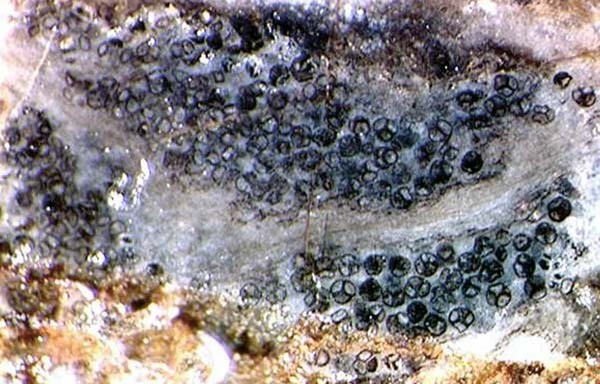 Fig.3 (below): Narrow lobe of a Horneophyton sporangium with spores mainly in tetrads. 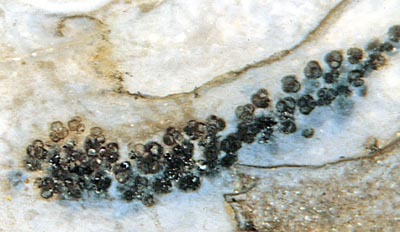 The above figures offer the usual aspect of Horneophyton spores which had not yet been scattered before silicification. A quite different aspect is provided by another sample (Fig.4), where a sporangium with enigmatic content is seen near a normal one with mature spores. Fig.4 (left): Three Horneophyton sporangia (or sporangium lobes) with different content: spore tetrads mostly disintegrated into individual mature spores (above left), small grains of unequal sizes rather unlike spores (below), two tiny grains and a columella section, faintly seen (small empty sporangium lobe near the margin on the right). The starkly differing sizes of the cell-like grains in Fig.4 (below) suggest the idea of sporogenic tissue at some early stage of spore formation but the apparently strong wall of the grains seems to contradict this. As another peculiarity, there is a tendency of the grains of any size to arrange in chains. Apparently all this does not make sense. Perhaps it is a case of spore production gone awry. Spores are produced in a complex process called meiosis, involving two successive cell divisions of different type which make four haploid cells from one diploid cell. Could a substance released by one of the omnipresent fungi in the Rhynie chert biotope have interfered with the system controlling spore production ?